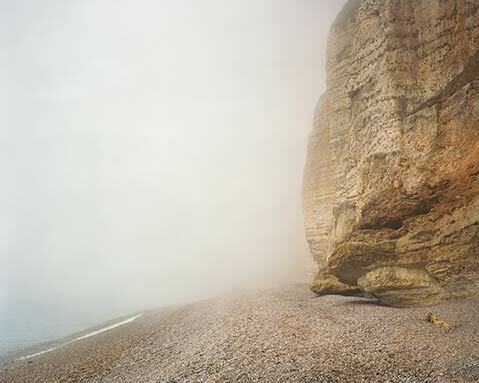 <strong>AN HOMAGE:</strong> Alec Soth’s photo “Brittany, France, 2007” (above) is just one of the pieces by various artists in the show <em>Fierce Generosity</em>, a memorial to Carolyn GlasoeBailey, who was known for forwarding the careers of emerging and mid-career visual artists. While you may not immediately recognize her name, if you follow contemporary art in Santa Barbara, you’ve felt the influence of the late Carolyn GlasoeBailey, the art dealer and former Museum of Contemporary Art Santa Barbara (MCASB) board chair who died in November 2015 after battling glioblastoma brain cancer. GlasoeBailey was only 46 when she died, and she leaves behind not only her husband, Chris Bailey, but also her 9-year-old son, Matson West Bailey, and many friends, artists, and clients who will miss her vitality, self-assurance, and aesthetic judgment very much. As part of the process of grieving for a woman who was by all accounts an extraordinarily positive force in the contemporary art world, and as a way of moving forward with her legacy, her family has established a foundation in her honor. This exhibit, Fierce Generosity at Porch Gallery in Ojai, continues GlasoeBailey’s work in forwarding the careers of emerging and mid-career artists, and fulfills her wish that this work be carried on after her passing. As a successful art dealer, GlasoeBailey represented a kind of double anomaly. Not only was she a woman in a scene still dominated by men — she was a prodigy in a world that typically makes people wait a long time before giving them a chance to perform in a leading role. She opened her first gallery when she was just 19 in her hometown of Minneapolis. For five years, GlasoeBailey and partner Kim Montgomery tirelessly promoted the careers of such talented Minnesota artists as Rob Fischer, Todd Norsten, and David Rathman, at the same time developing a strong working relationship with Richard Flood and other influential curators at the Walker Art Center. From there she made her way to Los Angeles, where she met her husband, and then to New York City, where she founded the Dee Glasoe Gallery in 2000. After September 11, 2001, GlasoeBailey and her family began spending more time at their home in Ojai, a mid-century modern house by Kazumi Adachi on the east side of town that they painstakingly restored and filled with fabulous contemporary art. The theme of this show is the light that this woman threw onto the talents and achievements of others, and it is clear from the results that in this way, she still has her friends’ backs.